They were just a fledgling start-up back in 2012 when they managed to bag a $3.5 million dollar backing investment. Now, Glooko (as in Glucose) a company which dabbles in all the digital and data riddled aspects of diabetes, has wrangled $16.5 million to help fund operations, including the design of bluetooth ready devices that can upload blood glucose readings, finally making remote monitoring of diabetes patients a practicable reality. In the new round of investing an industry icon has become a strategic investor in Glooko: Market heavyweight Medtronic (which corners an impressive majority of the domestic insulin pump sales). Since 2011, when Glooko’s hardware device and app made their debut, the company has been working on expanding their approach to daily diabetes care and long term health management. Glooko’s success is partially thanks to this expansion, insinuating itself into the very infrastructure of diabetes health care. While other companies fight over low hanging fruit, Glooko sells meter hardware directly to doctors and clinics, who then provide the corresponding device directly to patients who then use them to access and manage their blood sugar levels. This process is more integrated than other other tech start-up approaches, which often aim to bypass the nuances of selling to a complex industry by putting their product directly into the hands of the patient. Which approach proves more successful? If download data tells a significant tale, then Glooko is in the lead. The company’s MeterSync technology processes data from more than 30 distributed glucose meters (that’s more than 90% of the market share), but that’s not all. 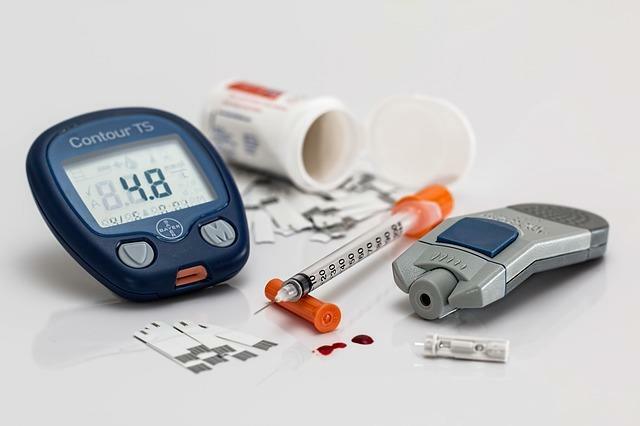 Company representatives have foreshadowed that the new funding will support a fully fleshed out platform complete with continuous glucose monitors and insulin pumps. Glooko’s horizons don’t end at the office doors, with a Population Tracker that enables doctors to gain remote access to analyzed patient data, the ability to predict and avoid hospitalizations due to hypoglycemia, and fully personalized algorithms that can predict risk, Glooko seems poised to take over the entire diabetes treatment industry, offering what seems like everything short of a cure. A company spokesperson paraphrased the company mission as “improving diabetes outcomes” at a lower cost. With a healthcare system that has finally turned away from an old model of medicine, where care was largely treatment based, and moving toward a preventative future, Glooko is poised to make a healthy living off of one of the nations most expensive problems. In 2012 diabetes care cost the US $245 billion). With Medtronic on its arm, and other important investors like Canaan Partners making bedroom eyes, Glooko received outstanding new backing on top of continued support from old familiars. While the company may find increased competition from the likes of iHealth and TelCare, it’s unlikely anyone will be able keep pace with this tech start-up’s broad and unique approach to medicine.